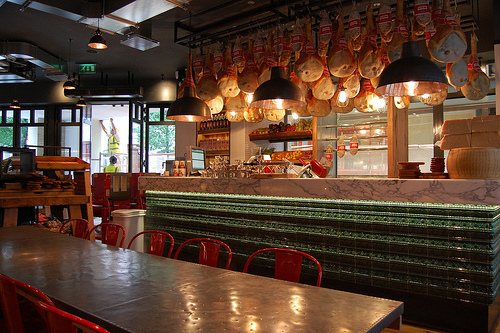 This ‘chain’ restaurant of Jamie is located in Covent Garden and is primarily a walk-in restaurant. It is very spacious with two floors and a rustic/industrial ambience. I had a really nice time, delicious food and was thinking that it’s the perfect place to grab a bite if you were shopping in this area. He does quite a few really nice sharing platters (meaty or non meaty). Because the place is so spacious and the staff is so nice it didn’t really bother me that it is quite a ‘touristy’ place. I just liked it! I’ve heard of jamies Italian. Any one been there or not?